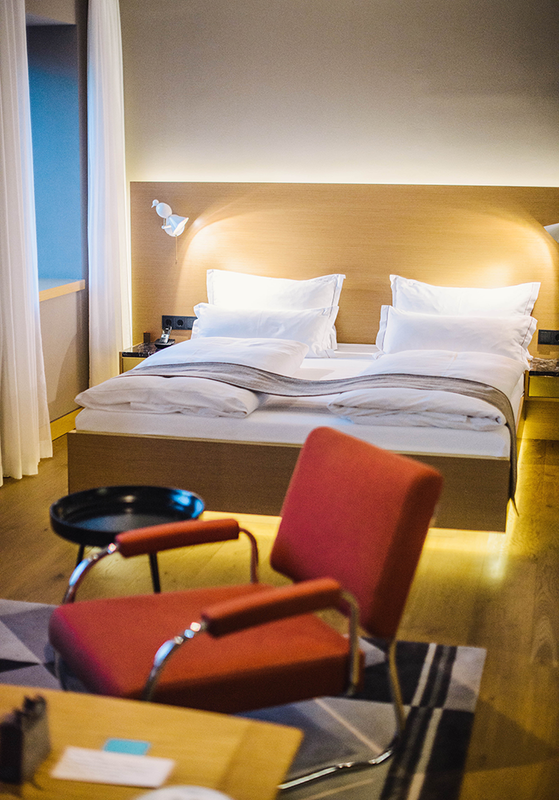 When picking a hotel in Vienna, I was looking for something comfortable, chic and close to all the major attractions. 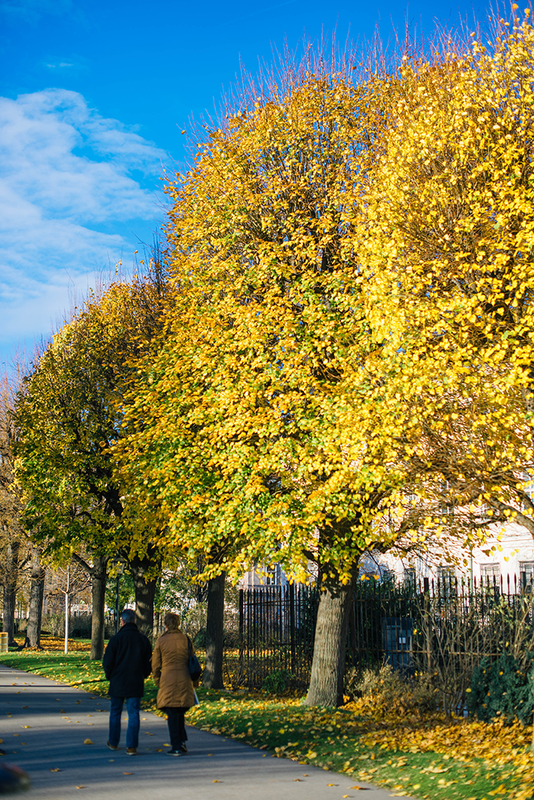 Vienna is very much a walkable city, so that part was key. 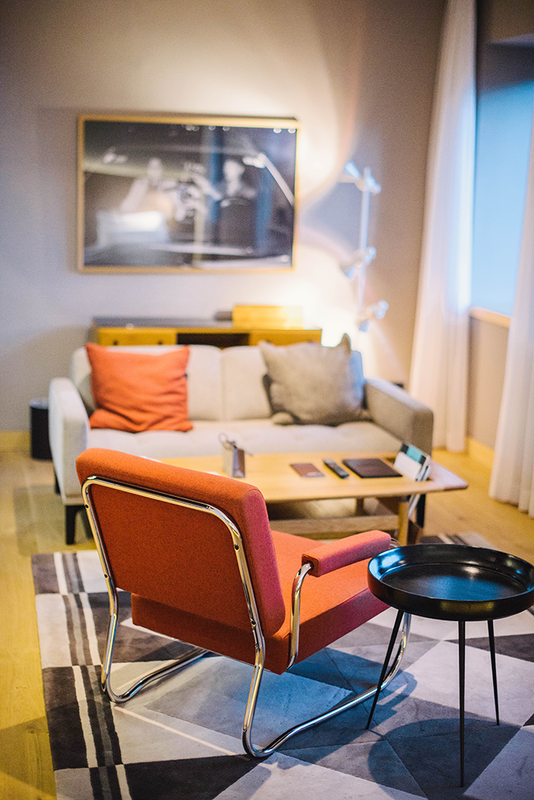 I contacted the team over at Design Hotels to help in finding the right one, and decided on The Guesthouse Vienna based on it’s prime location and the gorgeous rooms. Even prior to my arrival the service was outstanding. The concierge was incredibly helpful my entire stay, providing excellent recommendations for all the restaurants, making reservations, giving me directions, and more. More often than not, I find hotels recommend touristy restaurants which is exactly what I don’t want – when I’m visiting a new country, I want to eat the local cuisine in a place where the real locals actually dine. The concierge sent me to several of those, which turned out to be my favorite meals abroad! It’s so much more fun to travel when the food, the people and the experience is authentic. In addition to the impeccable service, the room was cozy and huge (by Europe’s standards). My closet was the same size as the bathroom and also fit all my luggage! So big! 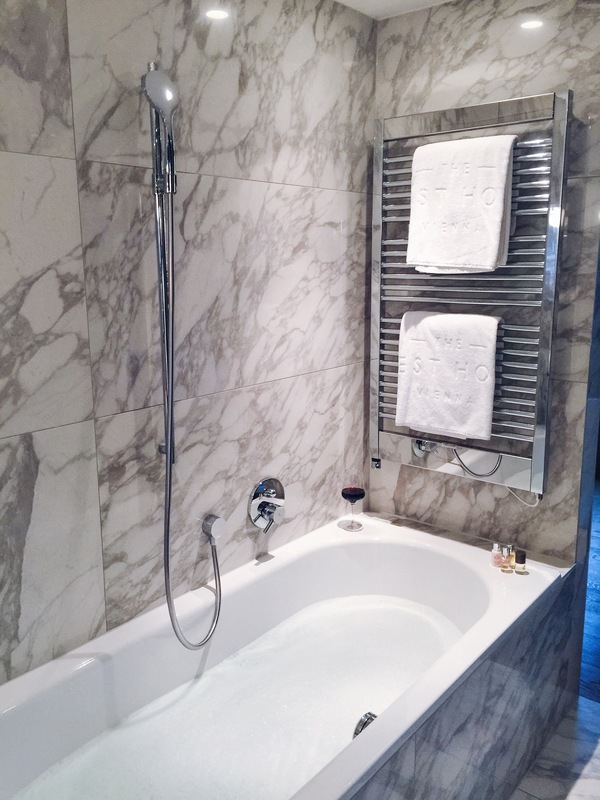 There was a gorgeous marble bathtub (which I took full advantage of), state of the art technology in the room, and a great view of the Ringstrasse. I also received several free bottles of wine throughout my stay, which I certainly can’t complain about. 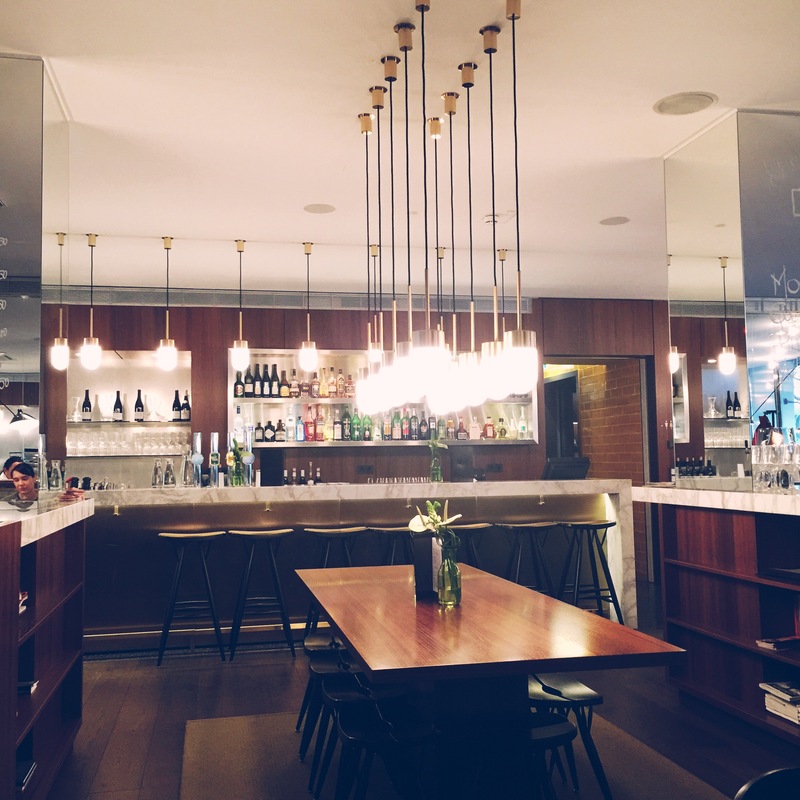 One more thing I have to note about the hotel is the fabulous brasserie downstairs. I ate here each morning of my stay, trying something new each day! I also ate there very late one night after attending La Boheme at the Vienna State Opera. The flavors on the menu are all a little unexpected, but totally delicious. My favorite breakfast was a soft boiled egg with artichokes and sauteed vegetables, and topped with hollandaise. YUM! 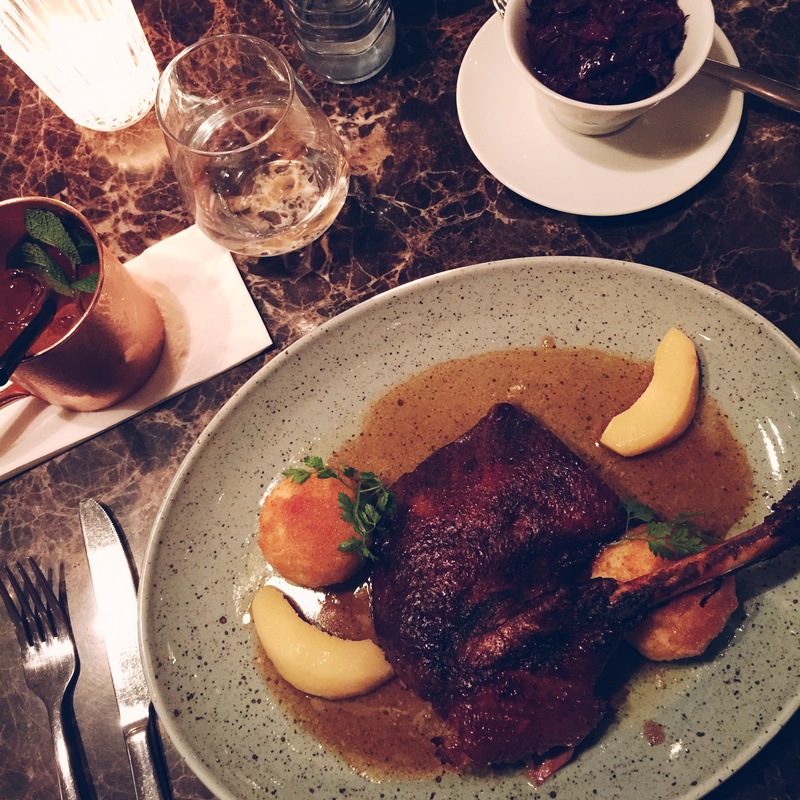 For the dinner I had, I ordered goose – this is a specialty for a few weeks during the fall in Vienna. I was a little hesitant at first, but at all three dinner restaurants I went to in Vienna, goose was a special – I decided I had to try it. It was so good! The service at the restaurant was great too – 100% faster than you’d usually expect in Europe. 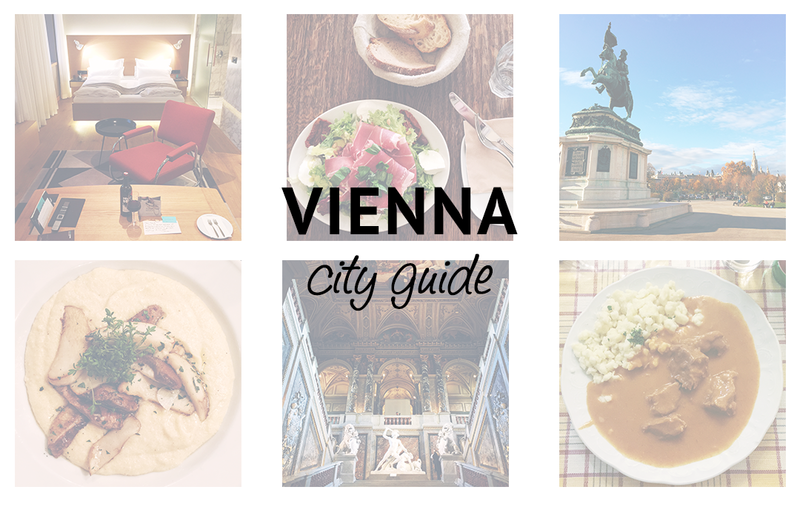 As you can probably tell, I only have amazing things to say about The Guesthouse Vienna! 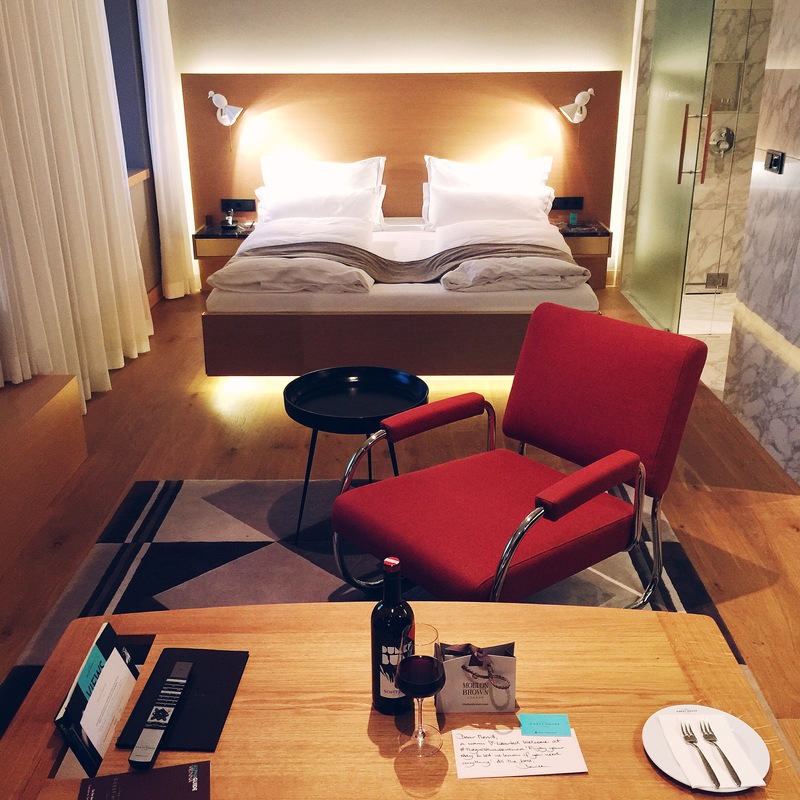 I highly recommend staying here on your next trip to Wien. It’s got everything you’d want out of a hotel – great service, luxurious rooms, delicious food, and walkable to every place you want to visit! 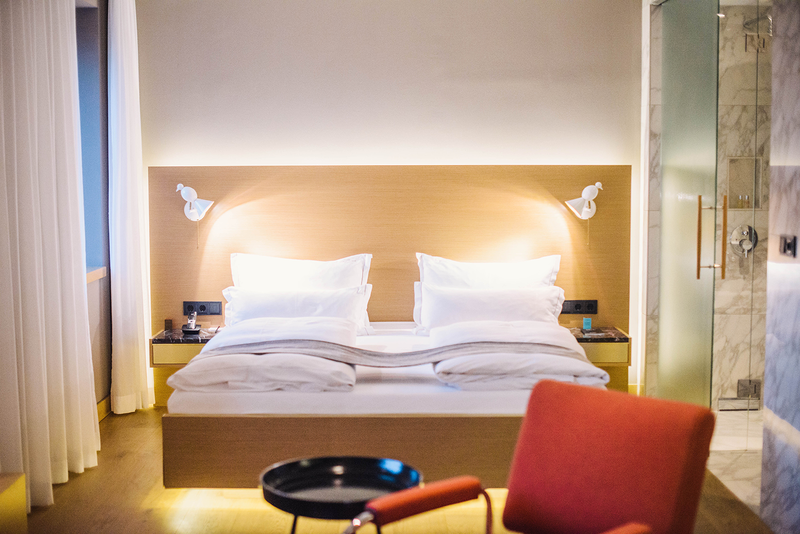 Click here to learn more about The Guesthouse Vienna and Design Hotels. 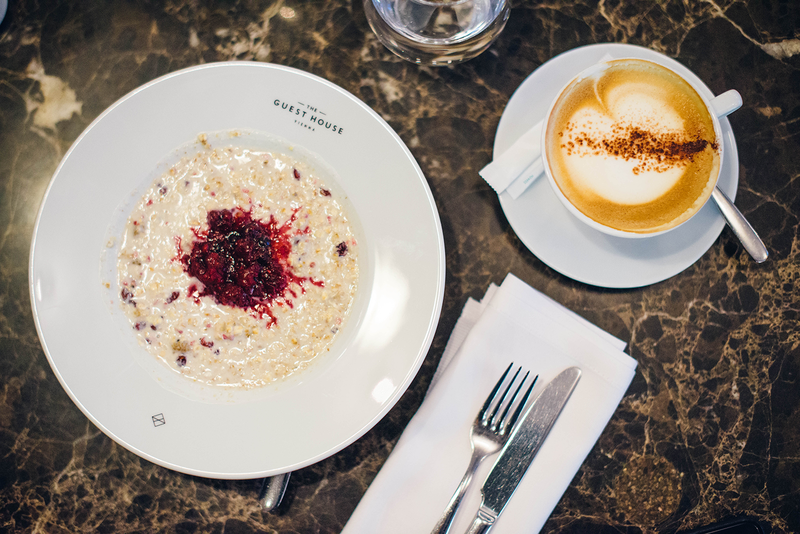 Creamy porridge and a cappuccino at The Brasserie. A view of the Brasserie. Goose and potato dumplings at The Brasserie. Gasthaus Poschl – I ate here my first night in the city, and it was my favorite meal of the trip! Not only was the food incredible, the head chef (seeing I was alone), went out of his way to come over and chat with me throughout my meal. He also brought out a couple of things for me to try out that I hadn’t ordered! 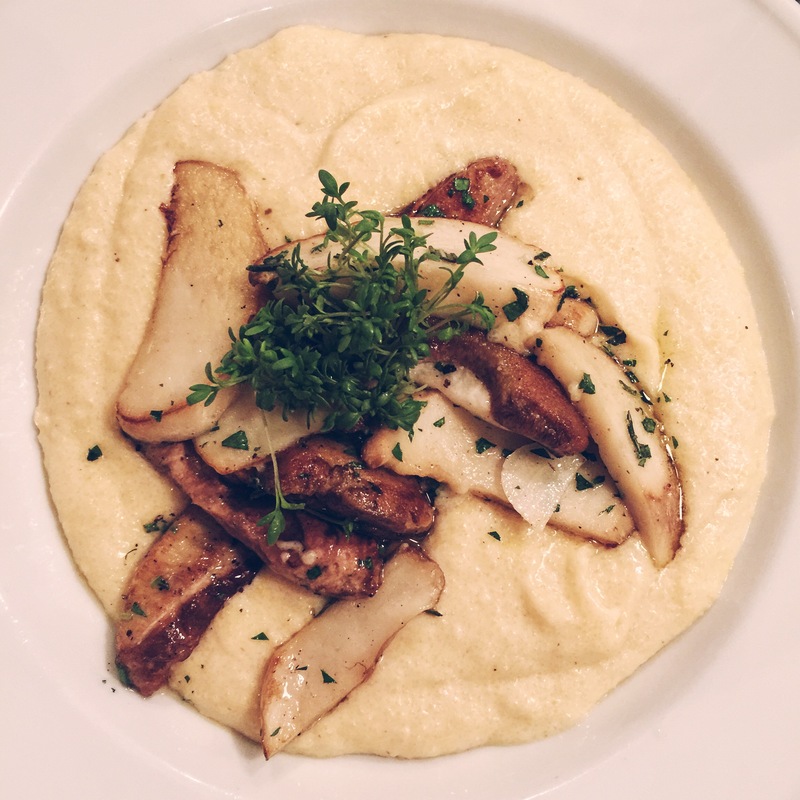 I highly recommend the sauteed mushrooms served over creamy polenta – one of the most flavorful dishes I’ve ever eaten in my life! I ordered the beef goulash for my entree, and the apple streudel with vanilla cream for dessert. Such a good meal! It’s a small, but popular spot, so I would recommend getting a reservation for it! 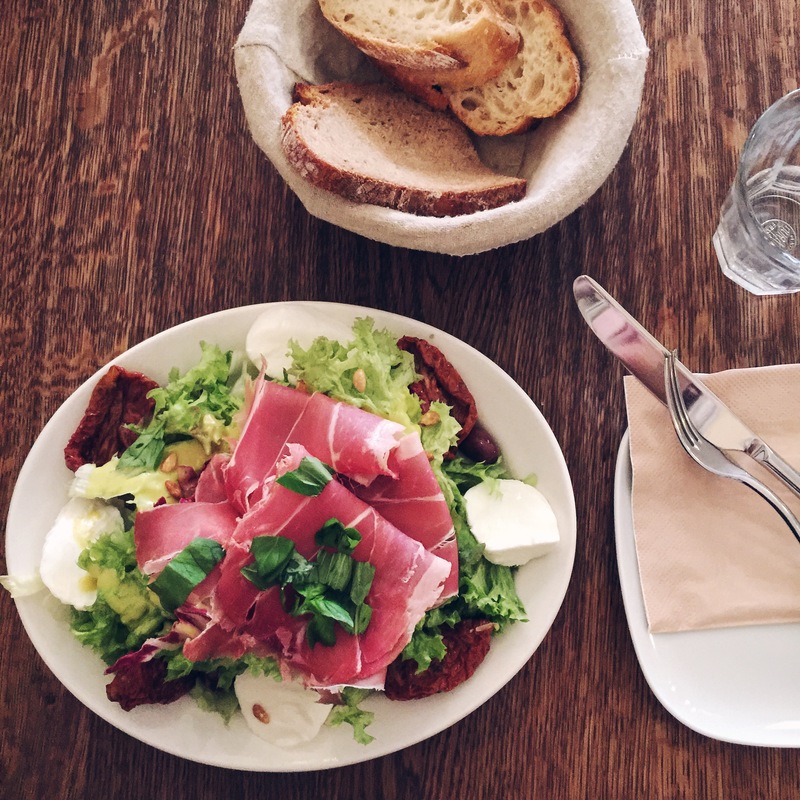 Le Bol – this little French eatery is right down the road from The Guesthouse Vienna and features a delightful menu of beautiful salads, baguette sandwiches and tartines. And they have reeeeally good coffee. Great spot for a lighter lunch! 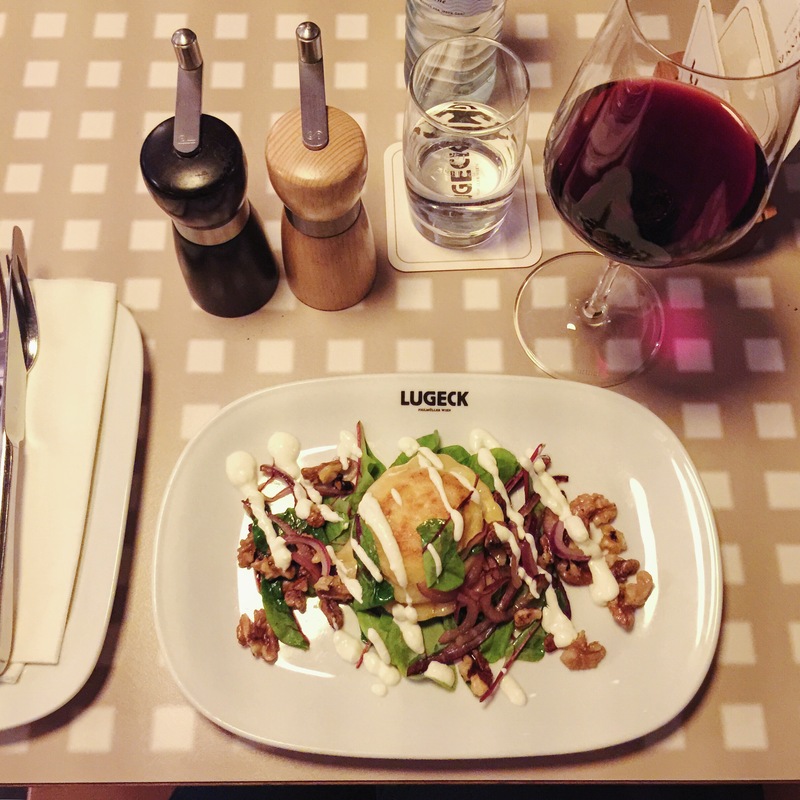 Lugeck – this is one of the more popular places for a nicer dinner in Vienna. It’s two stories and right off the main shopping block. The menu features traditional Viennese cuisine, such as Schnitzel, goulash, Piroshkies and more. It’s a meat-centric menu, but they do have lighter options (and vegetarian dishes) as well! 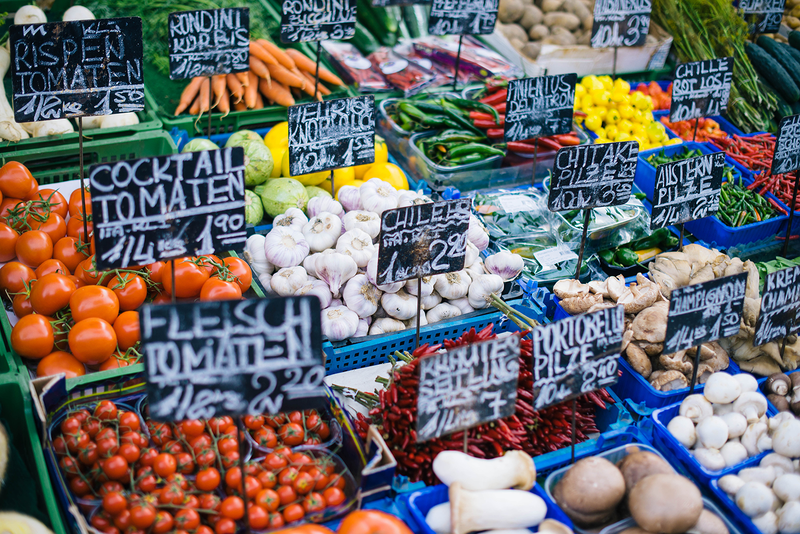 Naschmarkt – if you’re looking to do a little site-seeing and eat at the same time, check out the Nashmarkt. 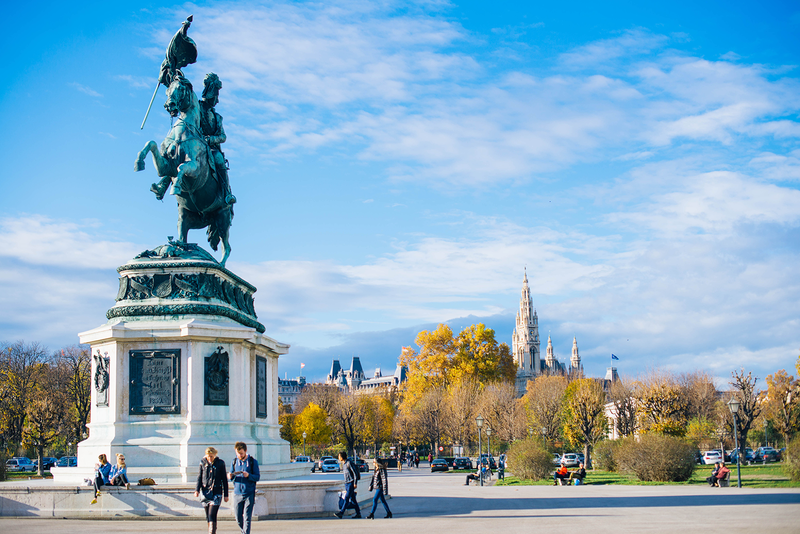 It’s Vienna’s outdoor food market featuring stalls and over 100 vendors. In addition to freshly baked breads, fish right off the boat, and spices they also have a bunch of great restaurants and pub joints. I ate at Asia Time, which is the sushi restaurant in the Nascharkt. 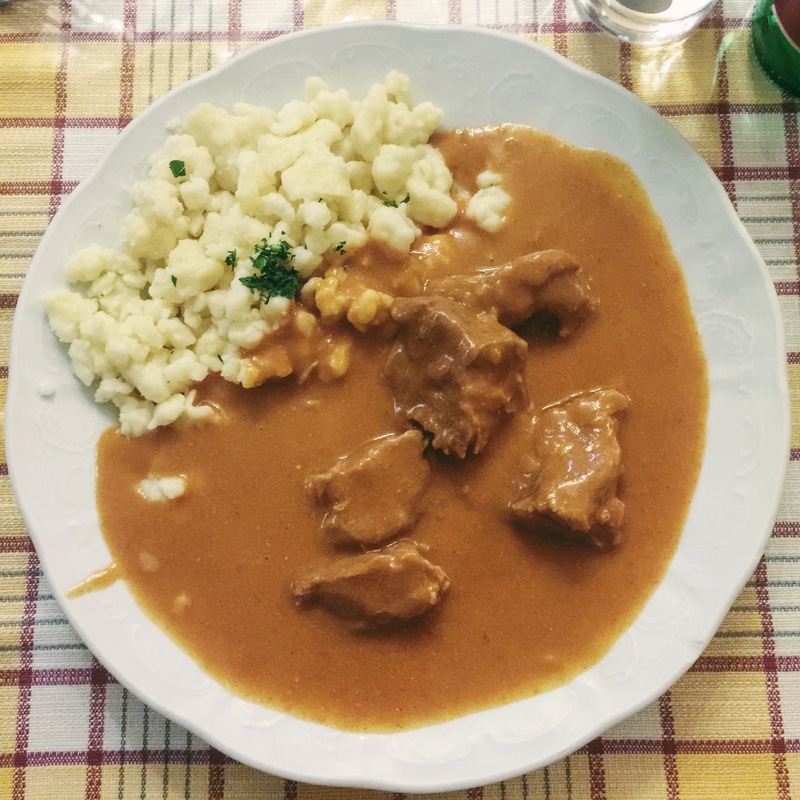 Reinthaler Gasthaus – this was my last meal in Vienna, and probably the heaviest too! This restaurant features only a German menu, meaning I had NO idea what to order – the old lady sitting near me (they have communal tables if you’re a small party) ordered what looked like some sort of goulash and potatoes and I figured I’d give that a try. It was actually veal, in some sort of gravy with fried potatoes. It was the definition of comfort food. I practically licked the gravy off the plate! Auer Brot – this was a little patisserie I stopped in while shopping around central Vienna. I was drawn in by the beautiful display of Christmas ornaments in the window, and stayed for the treats. If you’re looking to try some traditional Viennese cakes, breads or cookies, stop in this cute shop! Sauteed mushrooms served over creamy polenta at Gausthaus Poschle. A colorful salad topped with prosciutto, sun-dried tomatoes, buffalo mozzarella, pine nuts and olives at Le Bol. 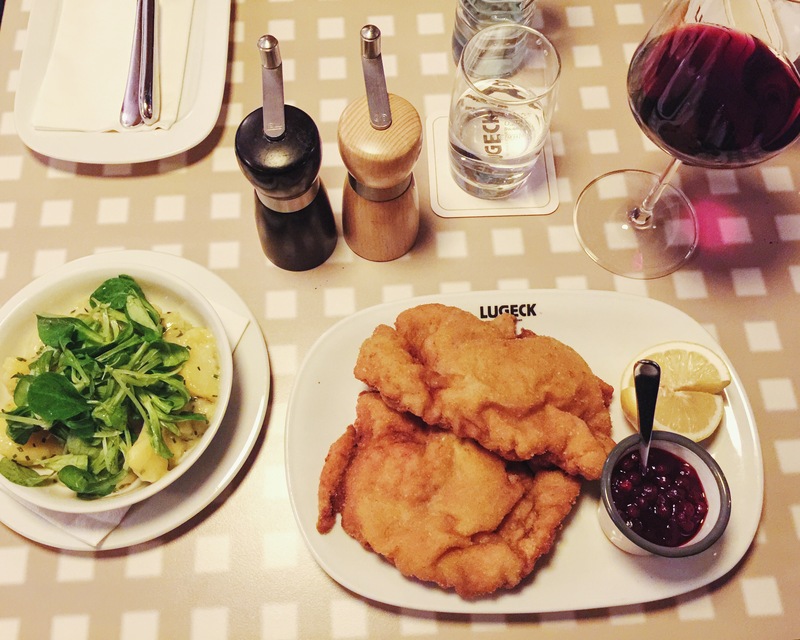 Traditional Wiener Schnitzel and Viennese potato salad at Lugeck. Veal and potatoes with gravy at Reinthaler Gasthaus. 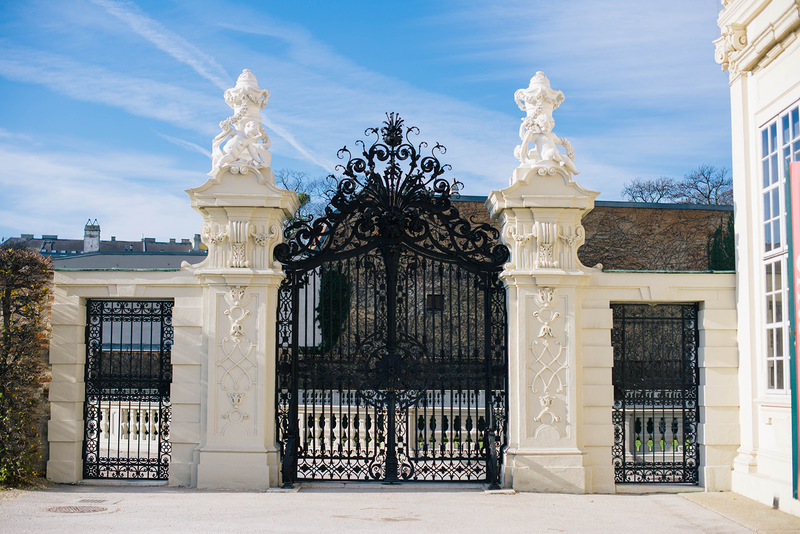 Schonbrunn Palace – this was one of my favorite things I did in Vienna. I love getting a picture of what life was like back then – touring the staterooms of palaces is always so much fun! This was the former imperial summer palace to the royals. And these were nothing short of spectacular. 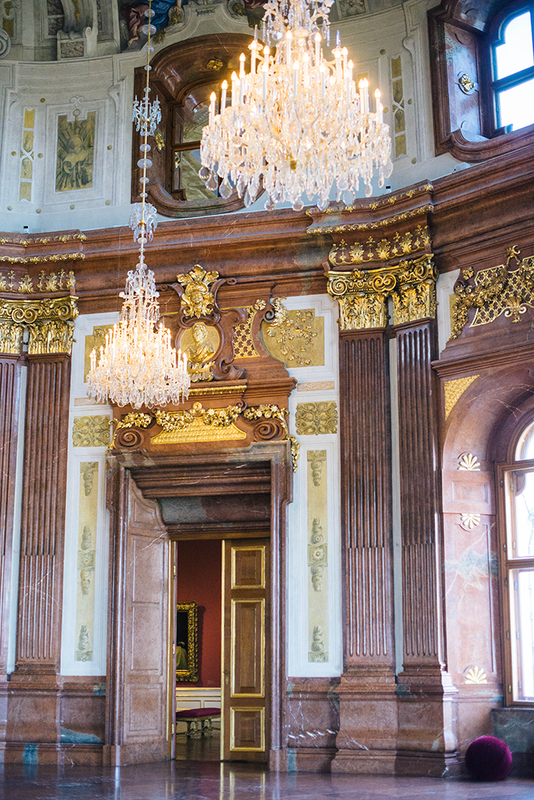 I opted for the Grand Tour of the palace, which included the Millions room, the Hall of Ceremonies and the Gobelin Salon, in addition to the staterooms you can see on the Imperial Tour. The one thing I do want to mention is the gardens are not very pretty in the fall – everything is pretty much dead and brown. 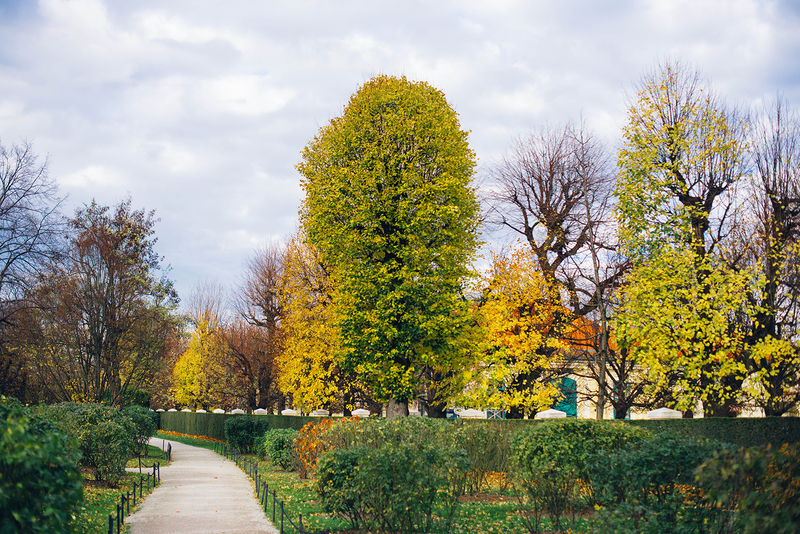 If gardens and flora are your thing, the best time to go is in the spring when everything is in bloom! 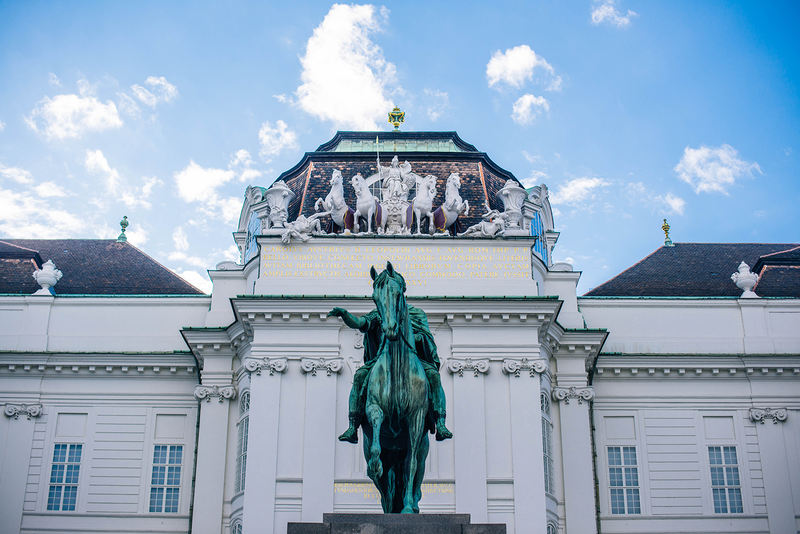 Hofburg Palace – this is the former imperial palace in the center of the city. It was just a five minute walk from the hotel! Here you can see the Imperial Silver Collection (amazing! 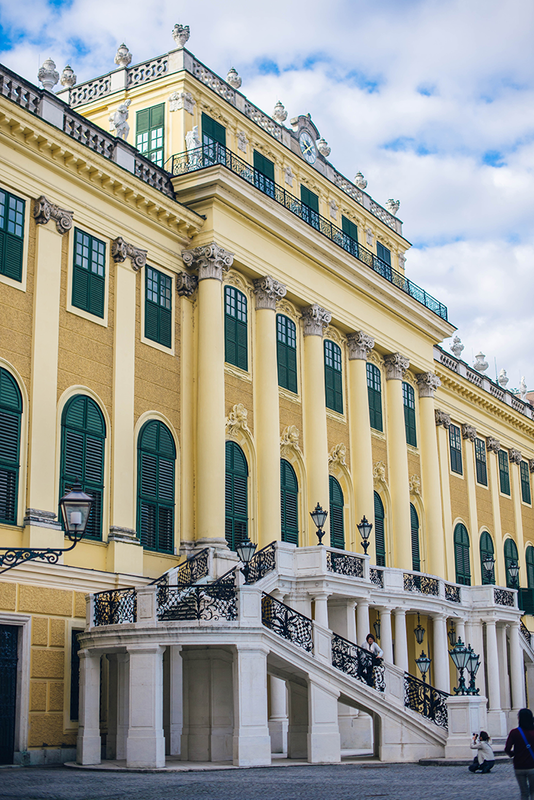 ), the Sisi Museum (a section dedicated to Empress Elizabeth), and the royal apartments. While I LOVED the silver/china collections and the staterooms, the Sisi Museum was really subpar. It all felt really cheesy. I would suggest walking quickly through that part of the palace to the royal apartments. That’s the best part! 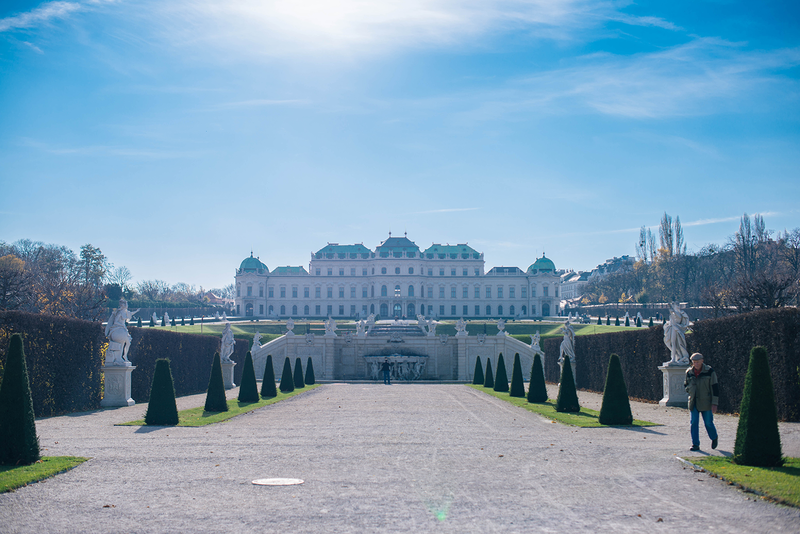 Belvedere Palace – I was sort of expecting the Belvedere Palace to be similar to Schonbrunn, but it actually wasn’t. 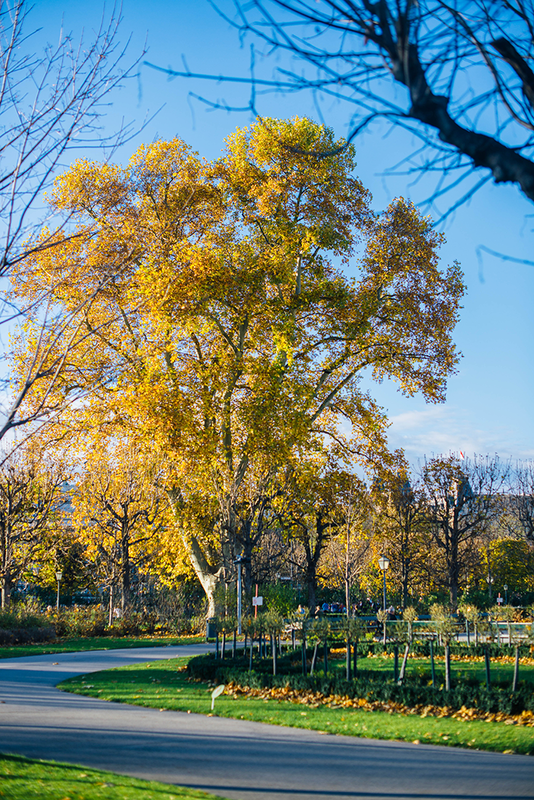 This is another spot I recommend visiting in the spring – the grounds are breathtaking, but aren’t very pretty in the fall. 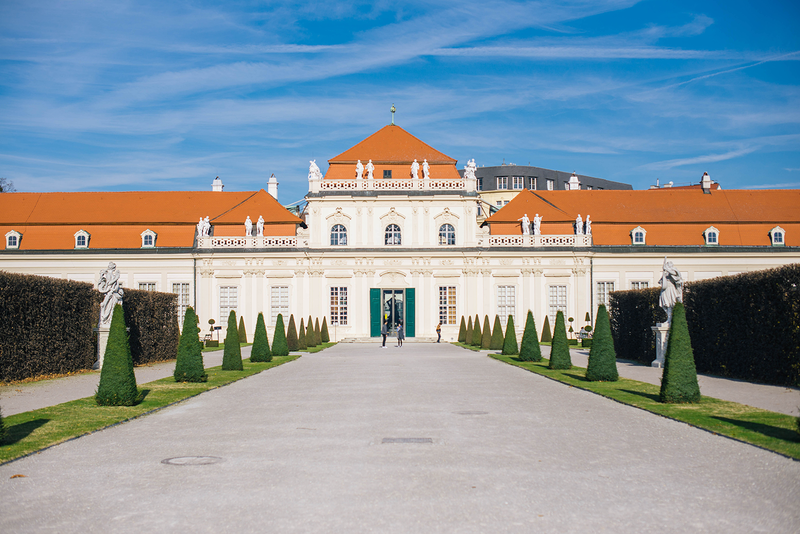 While there are a few key rooms featuring decoration from long ago, most of the palace has been transformed into art galleries. That’s not to say it wasn’t great to see, it’s just not what I was expecting. I was hoping for more royal apartments! 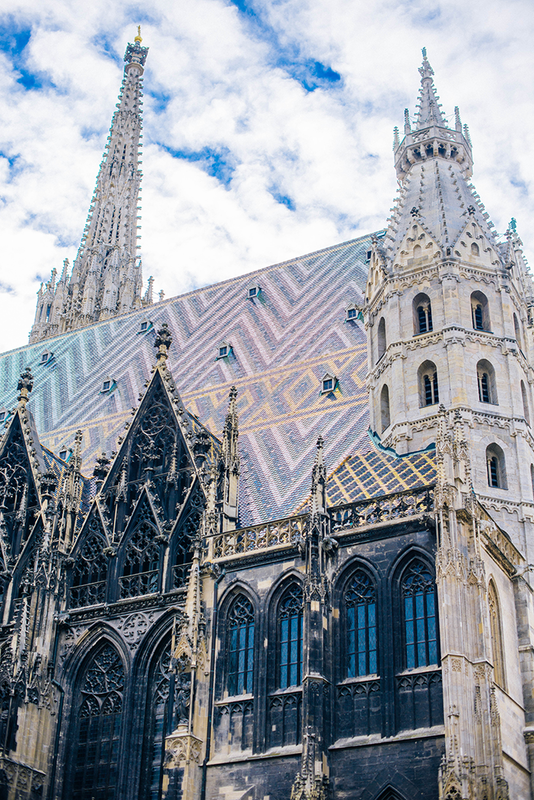 St. Stephen’s Cathedral – I didn’t get a chance to go inside the cathedral, but the exterior is pretty impressive as well. It’s right off the main shopping street, so it’s easy to access and visit on a day where you don’t have a ton of time. 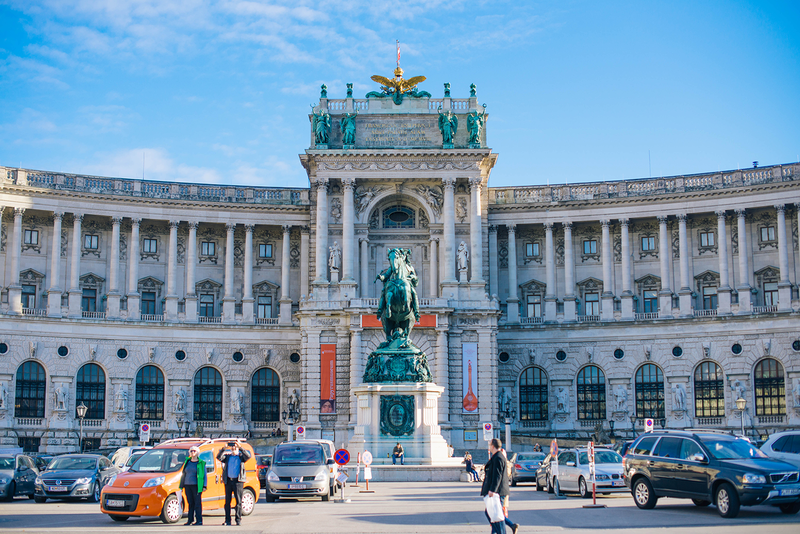 Kunsthistorisches Museum – I visited this museum on my last day in Vienna. I gave myself a few hours, because it is a MASSIVE museum. 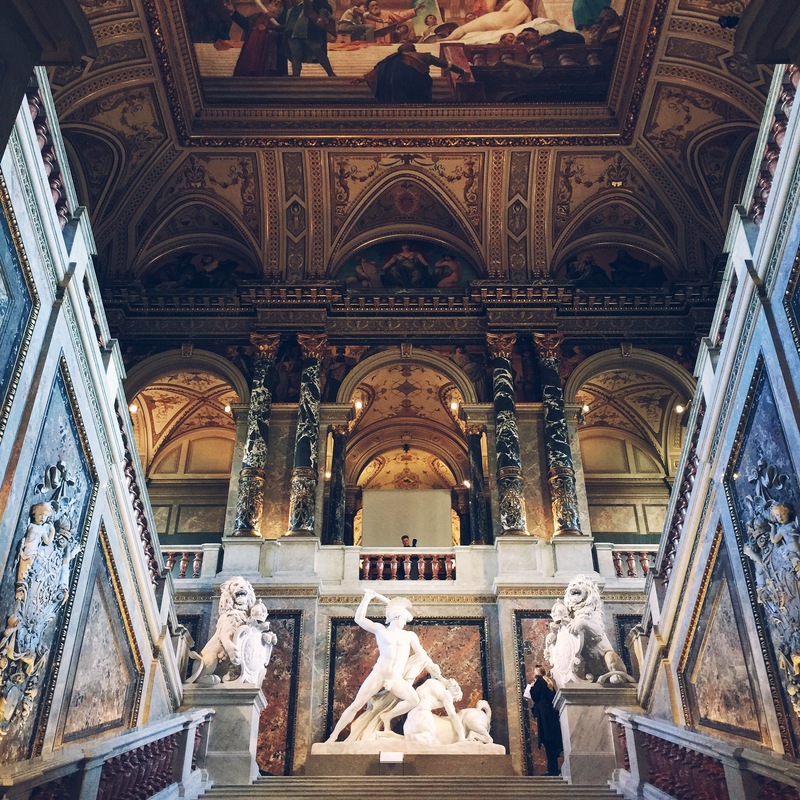 I really enjoyed this museum – while they have typical history museum artifacts (think mummies, greek statues and more), they also had the most beautiful picture gallery upstairs. Also, the museum itself is a work of art. Scroll down to take a peek inside! 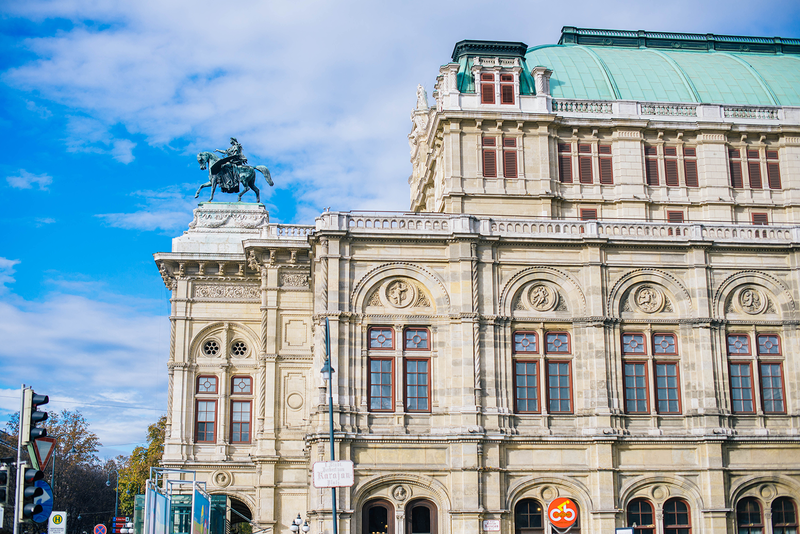 Vienna State Opera – Vienna is legendary for music (hello, Mozart! ), so a trip to the opera is always recommended. I went to La Boheme! It was amazing! It was fun to see the famed opera house and the music was outstanding. 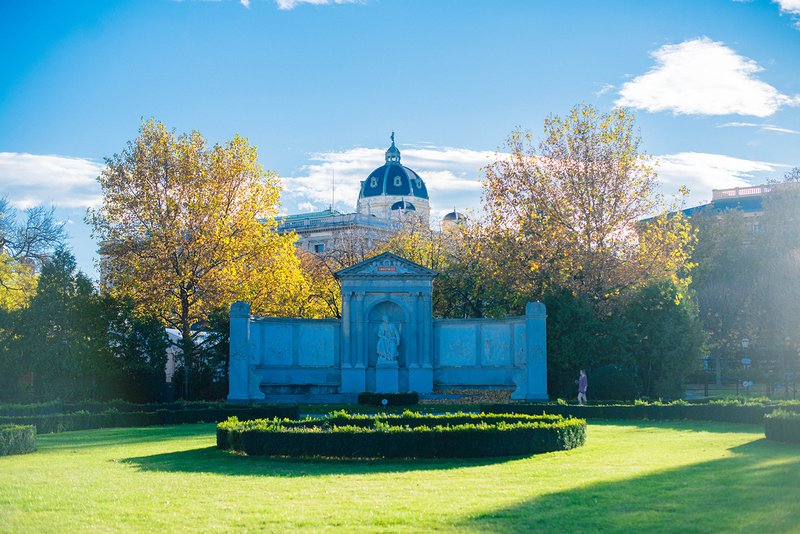 Heldenplatz and Volksgarten – this beautiful garden sits behind Hofburg Palace and the Austrian National Library. 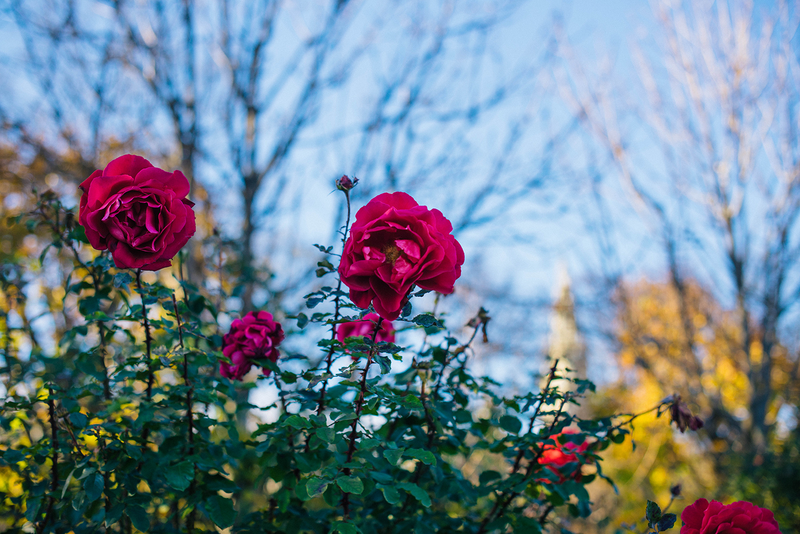 The back end of the garden is lined with the most luscious roses, while the rest of the garden features towering trees, fountains and lots of space to play. Great spot for a walk on a nice day! 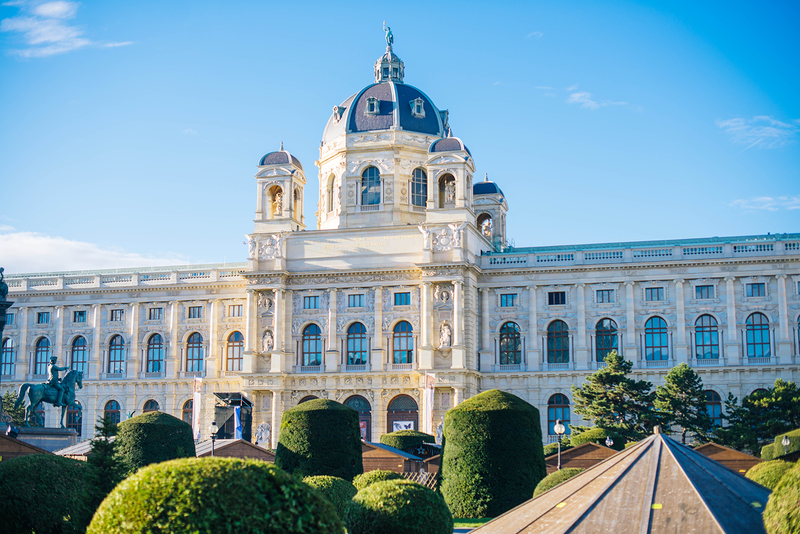 Albertina – I didn’t have a chance to visit this museum, but if you’re into contemporary art, this is a must-see! It’s catty-corner to The Guesthouse Vienna, so it’s super convenient. 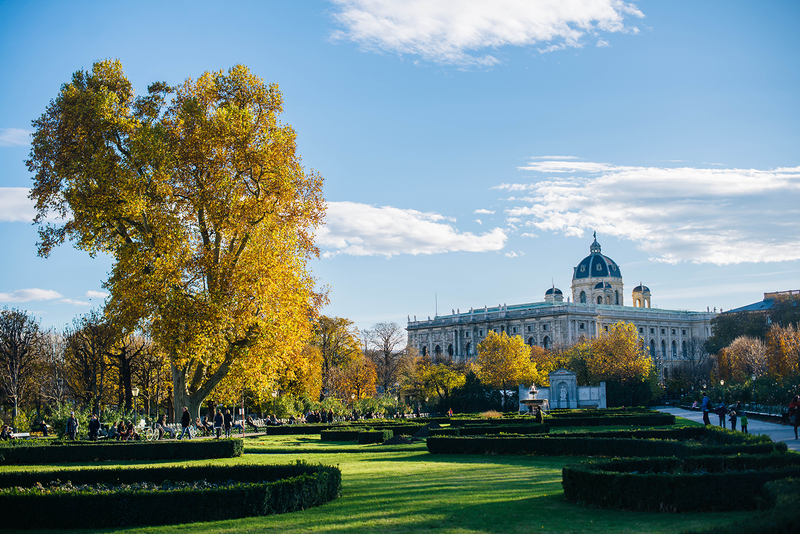 Schloss Schonbrunn and the Kunsthistorisches Museum. Statue of Prince Eugen von Savoyen in between the Austrian National Library and Volksgarten. 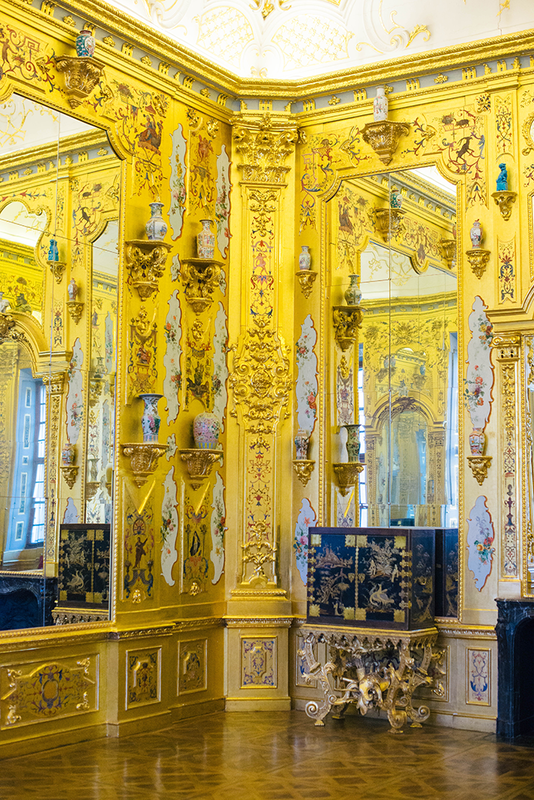 The gilded room at Belvedere Palace. 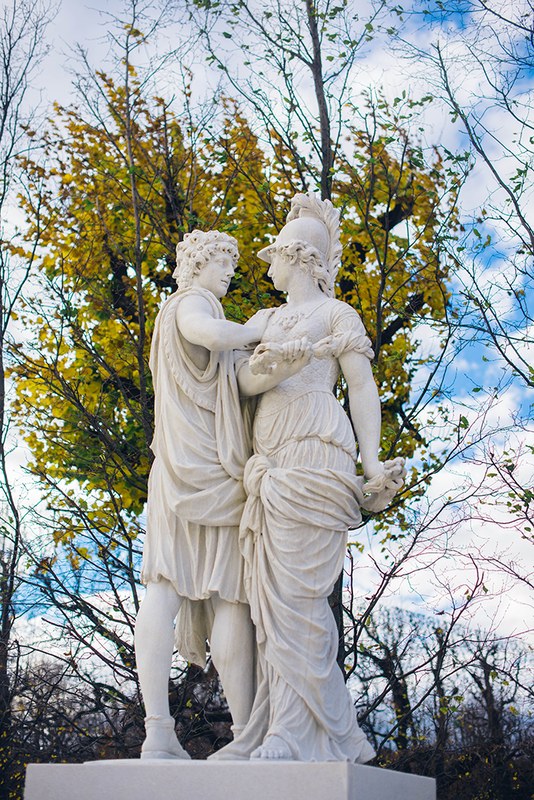 Statue of Prince Eugen von Savoyen in between the Austrian National Library and Volksgarten, and fall at the Volksgarten. 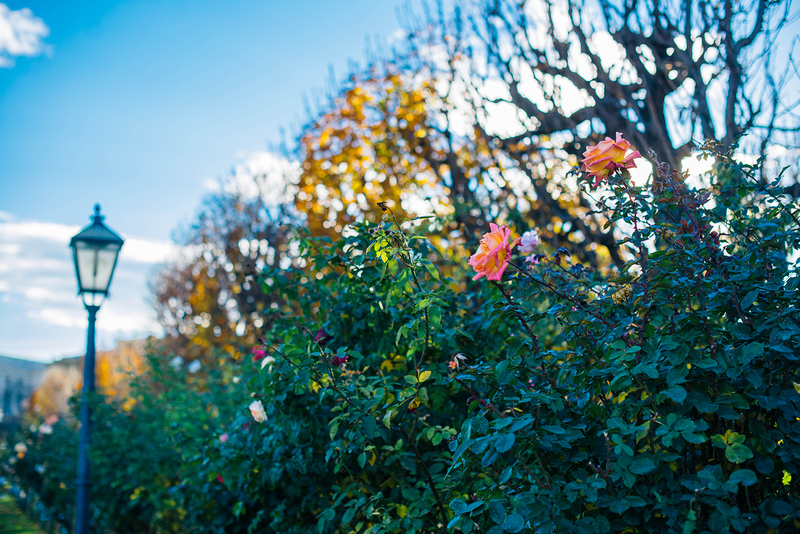 Rose garden at the Volksgarten. 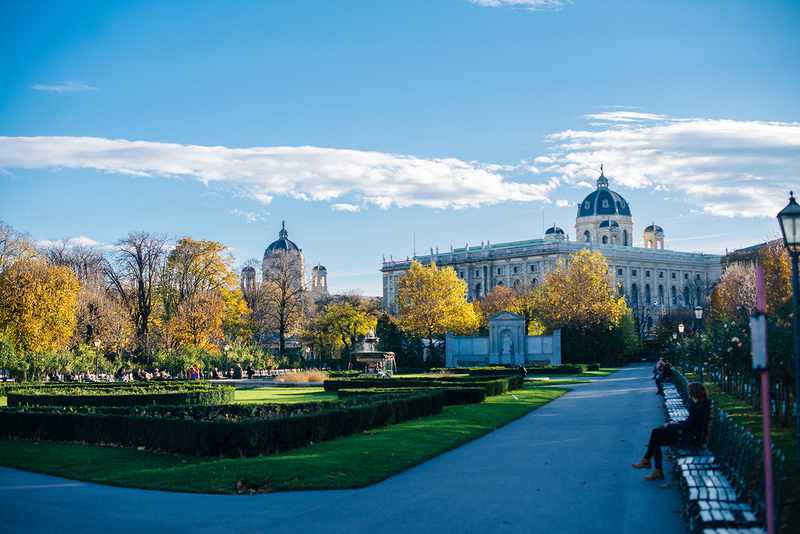 St. Stephen’s Cathedral and the Volksgarten. 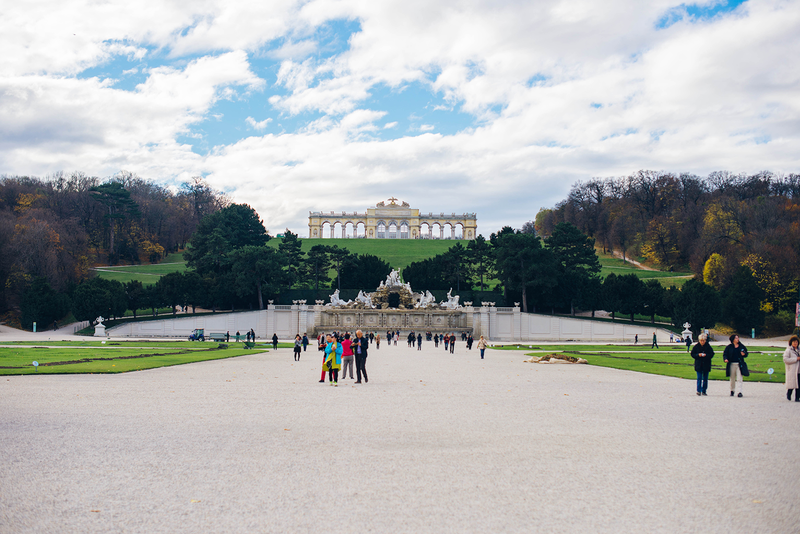 Upper Belvedere Palace and the gardens at Schloss Schonbrunn. Great city guide! 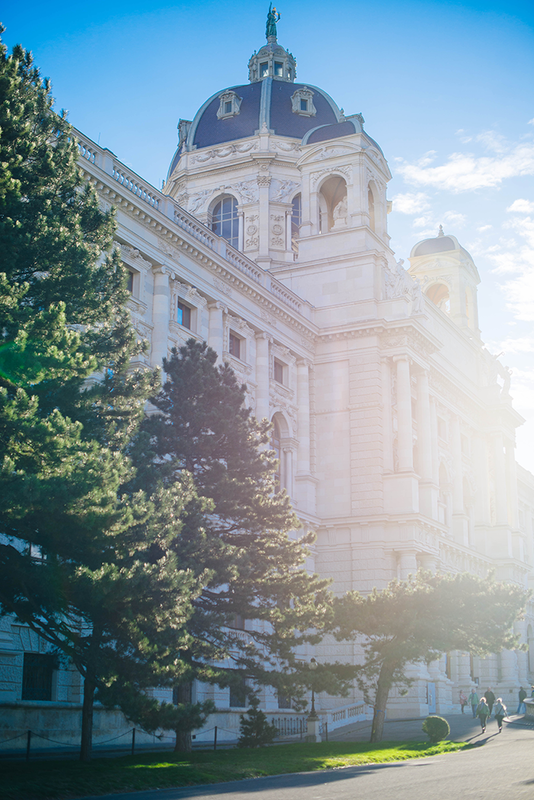 My mom and I went to Vienna in July…it was dreadfully hot. One of things we did was take a river valley cruise on the Danube and visit an incredibly famous monastery. Did you go shopping on Kohl (spelling?) Street? I almost died and went to heaven in the Valentino store! Such a lovely guide! 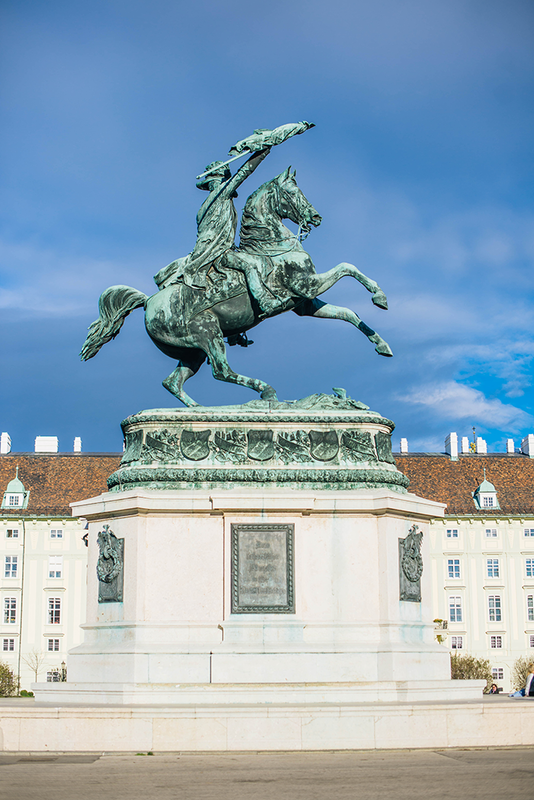 I think I’m adding Vienna to my travel list now. Thanks for sharing! Thanks so much!! Headed to Vienna for New Years and we will definitely try some of the restaurants you suggested!!! Thats my favorite part of trying new cities…finding really good food…so thank you!!!! amazing! Can’t wait to hear what you think!! Safe travels and happy holidays!